Doc Rotten and his Grue-Crew have created something so despicably horrifying that just flipping the pages could send you into convulsions with side effects of uncontrollable vomiting. If you decide to read the content, be warned that it may cause hallucinations and possibly death. 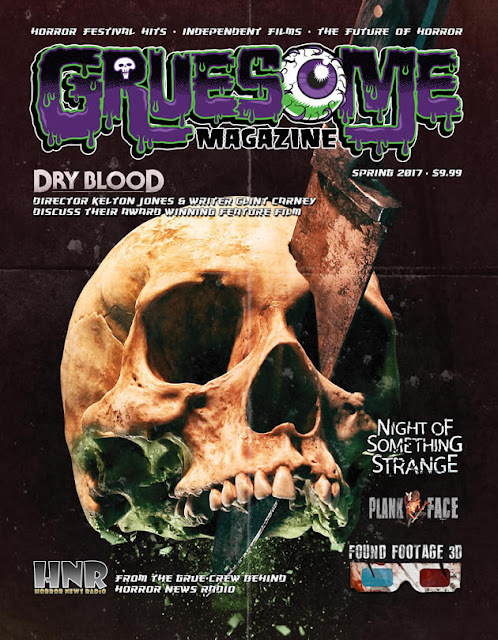 Available now in digital format and coming soon via Print on Demand, the Grue-Crew are proud to present the very first edition of Gruesome Magazine. The quarterly magazine will focus on independent horror films, horror film festivals, and the future of horror. The digital magazine is available for $3.99 and the print edition is available for $9.99, click the appropriate link via the link below for the version you would like to own. The magazine is 8.5 x 11, full color, and 48 pages.